Wood Storks aren't always characterized as beautiful birds. 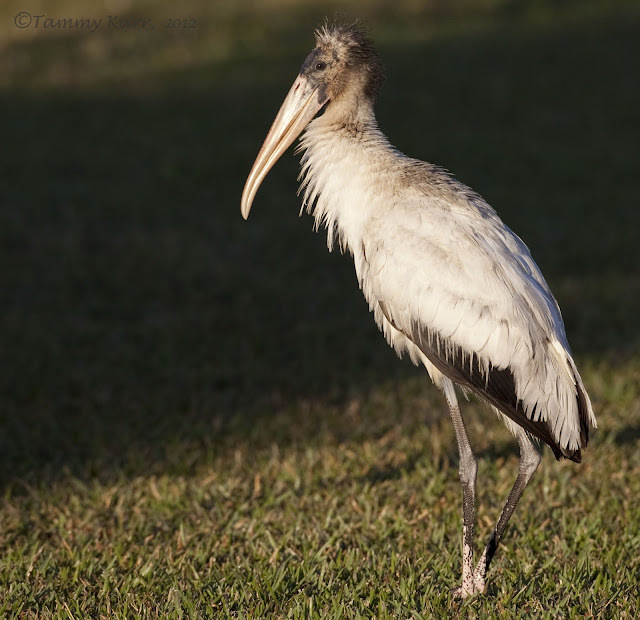 As an adult, the Wood Stork displays a bald, featherless head. As a juvenile, however, the Wood Stork has a lightly feathered head. This guy was definitely kind of cute! Lovely shot although I can't quite get the 'cute' factor for this. It does seem that alot of your birds love posing for the camera and are very close. I wish our birds were like this, most run or fly when you get the camera out! I think this juvie is cute Tammy. Lovely light, pose and eye contact. Absolutely stunning bird and lovely picture.